Question: “Europe along with Japan look like they are preparing to be flushed down the toilet,” would you anticipate their equity markets to be flushed down the toilet as well. (Not necessarily a crash, but a very large correction). ANSWER: NO! This is part of the Sovereign Debt Crisis. I was speaking politically ONLY – not from a private asset class. Government debt – absolutely. It will evaporate. The window to fix this stuff is closing so rapidly it is scary. When governments are in meltdown, assets flee to the PRIVATE sector. Even when Germany went into hyperinflation, ALL tangible assets rose. 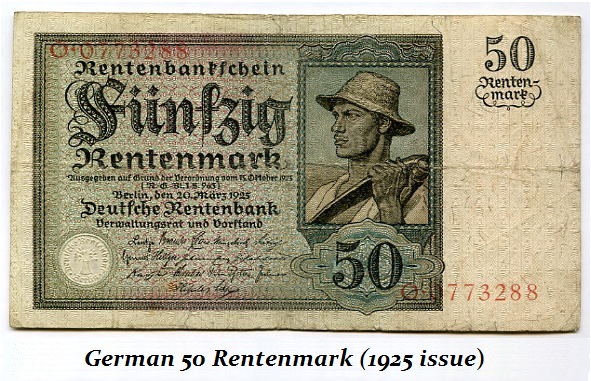 As a matter of fact, the new currency issued by the government to end the hyperinflation was no gold backed – but real estate backed. Unfortunately, between people trying to just sell gold and the talking head on TV who create the image the stocks only rise with declining interest rates, the truth is so far removed from these myths it is frightening. Simply put, if government is melting down in either DEFLATION or HYPERINFLATION, the one thing that becomes a store of value for the ultimate transition is ALL private assets and that includes shares, real estate, and gold. The only time these collapse is when you go completely off the grid as was the case with Rome and Japan where serfdom and its middle ages lasted longer than that in Europe. This is by NO MEANS opinion! This is hard fact ascertained by the study of what happens when empires, nations, and city states collapse. Dark Ages appears far more often than people would dare guess. It is like weather and the infamous White Earth Effect. Dark Ages have appears in Greece, Europe, and Asia. It is part of the evolutionary process of civilization. It is the rebirth from the ashes.